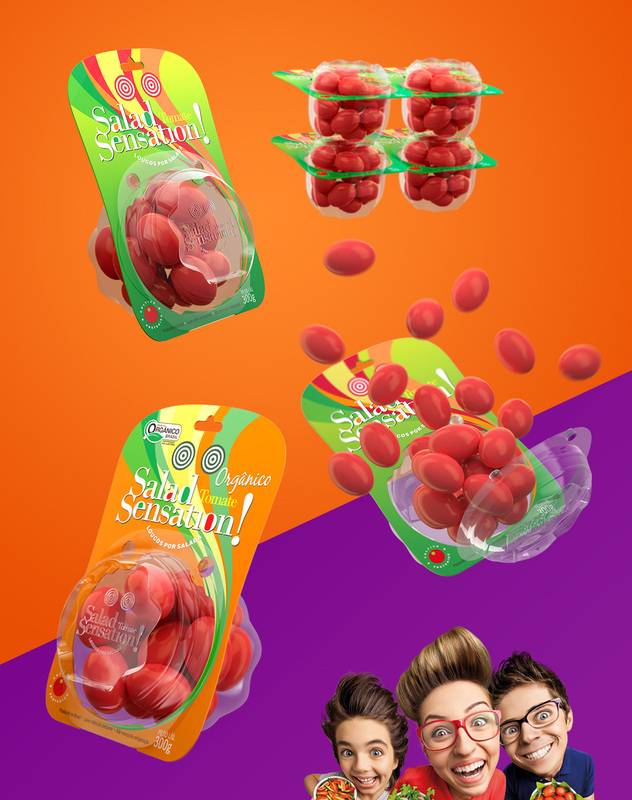 The strategy for the creation of the identity, packaging and campaign of this line of tomatoes was very differentiated. The idea was to get away from the typical plastic wrapped polystyrene trays used for vegetables. We created a package composed by a PET tray and a blister with an inovative fastening system. That increased presentation forms of the product in points of sale. The package can be stacked, hanged in hooks and stand vertically. 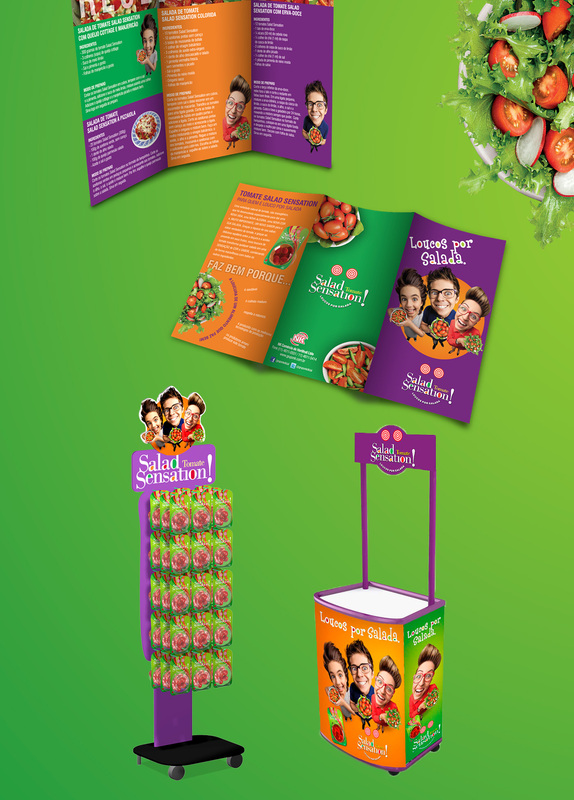 The package is not only visually appealing but also incorporates creative ideas to improve storage, exposition and display of the product. 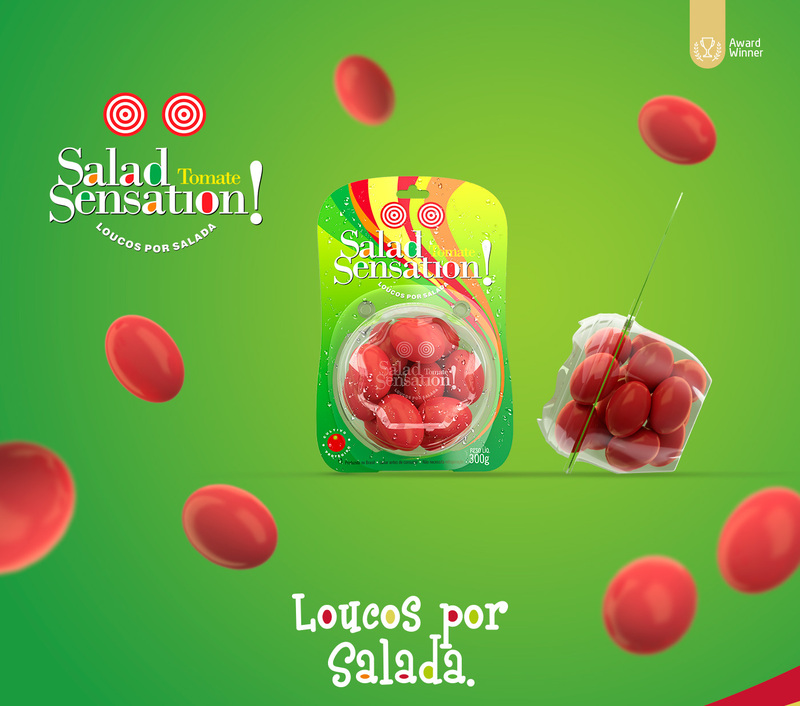 We can say Salad Sensation functional packaging design for tomatoes changed the way tomatoes are displayed on points of sale. 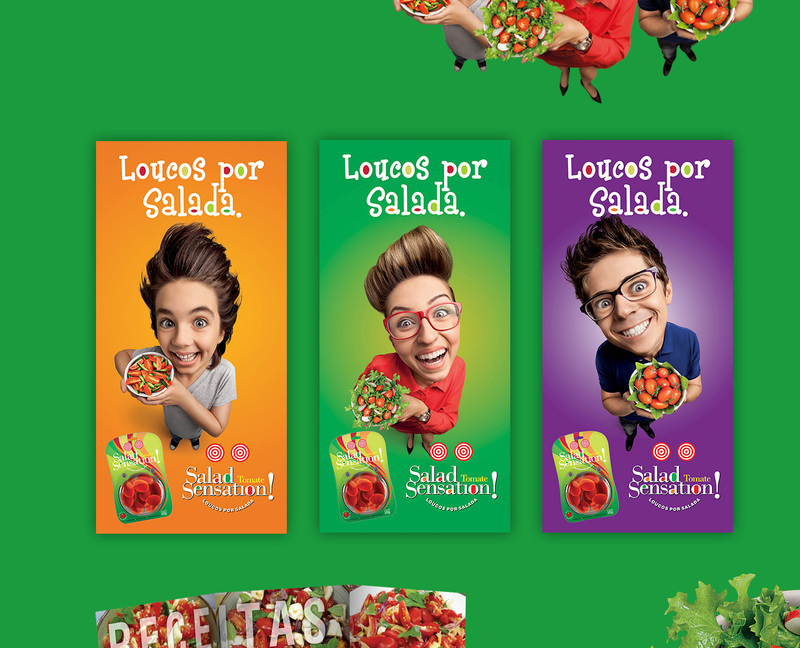 For the product launching campaign we created the “Crazy for Salad”slogan, starred by three nice crazy guys who love salad and healthy food. 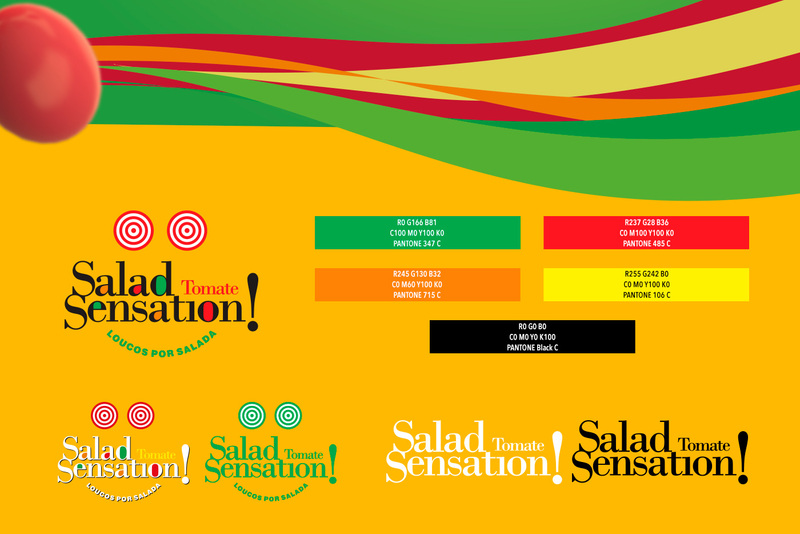 This campaign counted on tasting sessions offered by sale promoters, banners, wobblers, folders with recipes, stoppers and displays. The product is also presented in an organic version, free from pesticides. This packaging received the Prêmio Design Catarina 2015 prize.